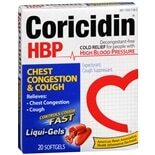 Reduce the suffering experienced from everyday cold and flu with the variety of medications available by Coricidin. 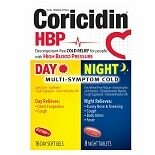 Whether you're trying to make it through the day or sleep soundly at night, Coricidin has a tablet or liquid-gel that will help you do so. 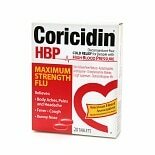 While there's no cure to the common cold, Coricidin has several medications that can relieve the more troublesome of symptoms. Cold and flu tablets reduce the aches and pains experienced during a bout with a cold, while at the same time reducing fevers, sneezing and runny nose. If you are suffering from a serious cough, a liquid-gel intended to reduce both cough and congestion is available that targets the congested area. The medication helps to relieve coughing temporarily while making each cough more productive in reducing the associated congestion. There's even a nighttime cold formula available in a liquid that provides multi-symptom relief, enabling you to sleep throughout the night. All available medications are decongestant free to provide relief to those suffering from high blood pressure. Flu symptoms can be just as devastating as those associated with the common cold. 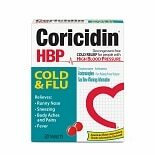 To address the subtle differences between the cold and flu, Coricidin offers medications that specifically target flu symptoms. 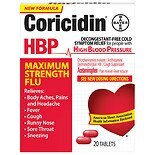 Used as directed, the aches and pains of the flu, as well as coughs, runny nose and sneezing are relieved temporarily. 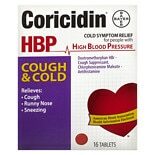 As with their cold medications, all flu medicines are provided without decongestant to avoid raising the blood pressure of users.